Japan was hit by a 9.0 magnitude earthquake on March 11, 2011, which triggered a devastating tsunami off the coast of Sendai. I'm sure you've seen the terrible images of the aftermath. As a photographer, I believe in the power of images. Not only in their power to convey the unimaginable loss we've seen in Japan, but in their power to heal as well. To this end, I've contributed an image – Kyo of the Japanese band Dir en grey – to the Print Aid Project. Print Aid is a UK-based organization that was started by three photographers after the March 11 earthquake. They've received submissions from around the world from designers and photographers donating their work. 100% of profits from print sales go toward the British Red Cross for aid to Japan. Kyo of the Japanese band Dir en grey. Photographed on August 31, 2010. 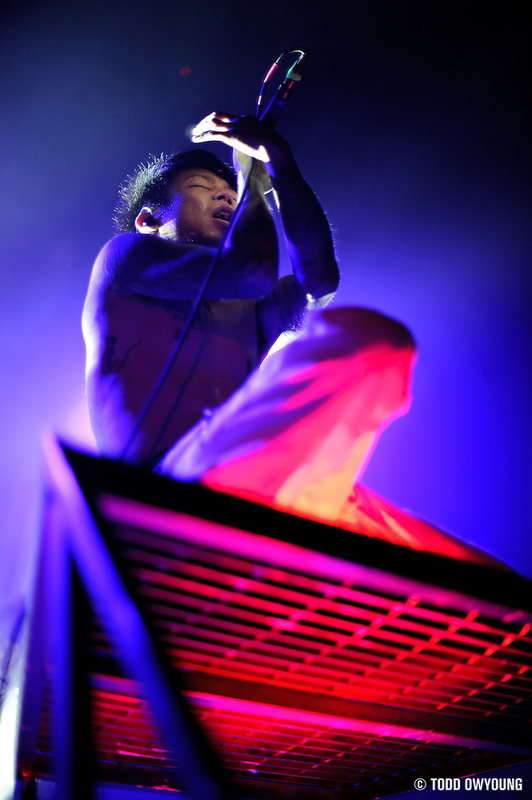 For those unfamiliar with Dir en grey, they're one of my very favorite bands to photograph. Not only because of the energy of the members themselves, but because of the dedication of their fans worldwide. Whether you're a Dir en grey fan or just a just a lover of photography and design, I hope you'll check out the prints being offered by the Print Aid Project. Hi guys, just an update – I know many people had problems with ordering from Print Aid via Fotomoto, but the issue with Fotomoto’s servers has now been corrected. So, all orders should go smoothly now. Thanks for your patience! Great shot Todd, and I think it’s awesome that you are donating it. I’m sure the guys from Dir en grey are stoked as well.